A monthly publication produced by the Port of Portland for employees at Portland International Airport. 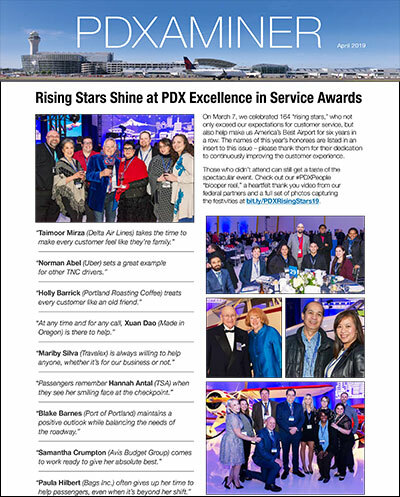 The publication provides employees with news and information about airport programs and events, airport tenants and the airlines serving PDX. What Makes PDX So Great? What Employee Amenities Do You Want at PDX? Clocktower Plaza Celebrates 30 Years…and You’re Invited! What's the best gift you've bought at PDX? Food Waste: Sort It and Win!